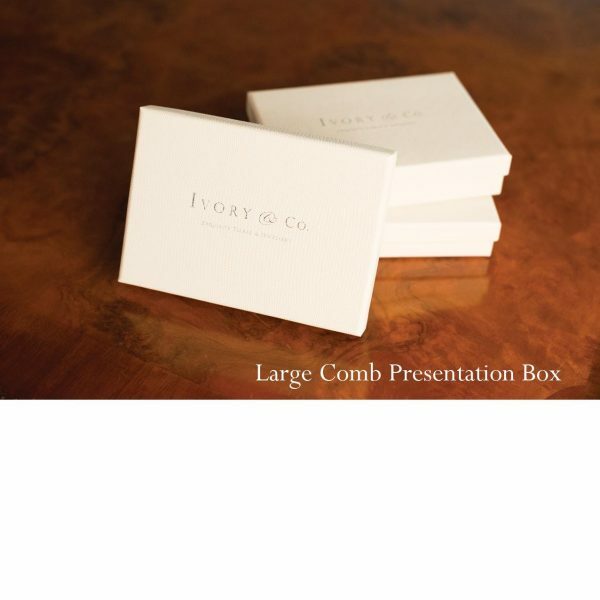 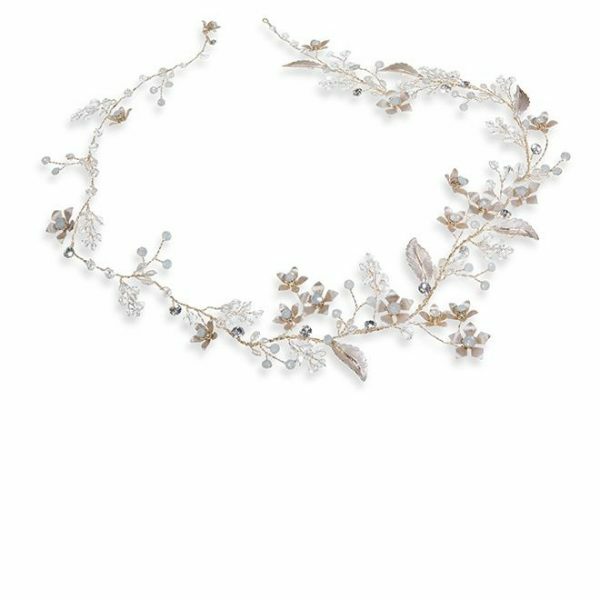 Ivory and Co Anoushka wedding hair vine. 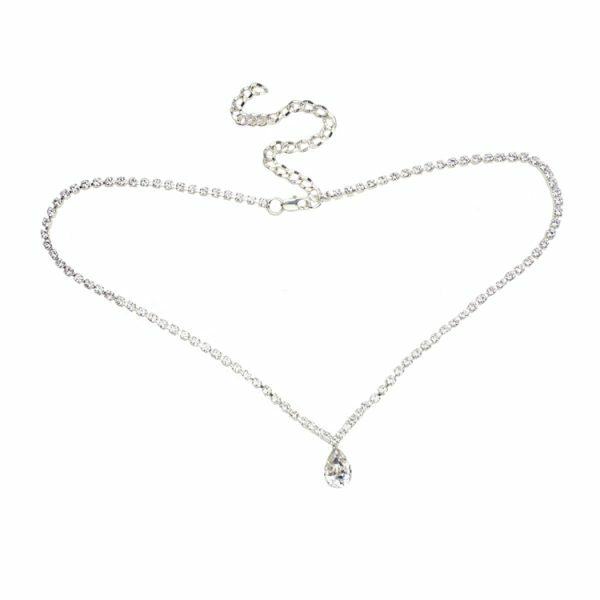 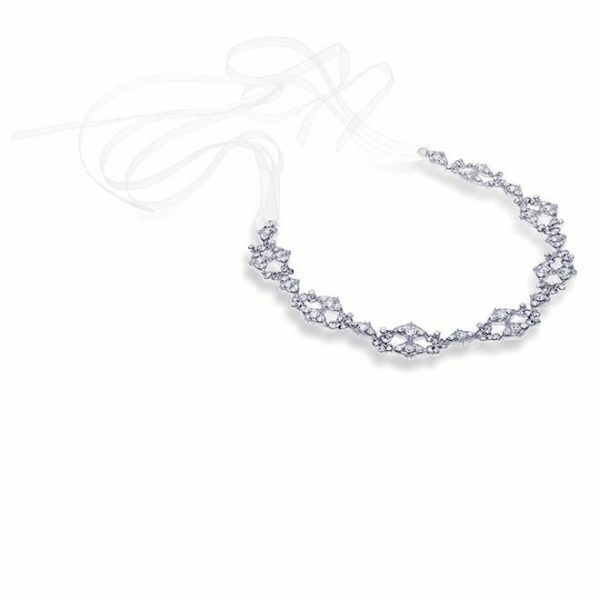 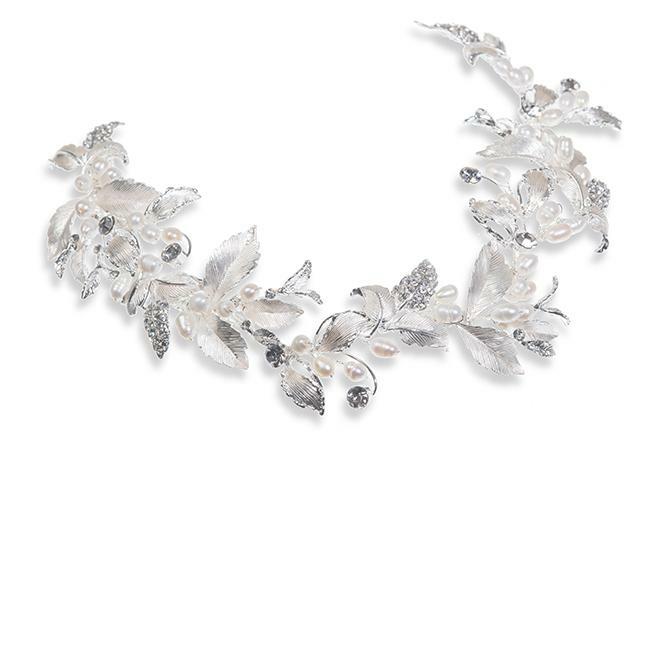 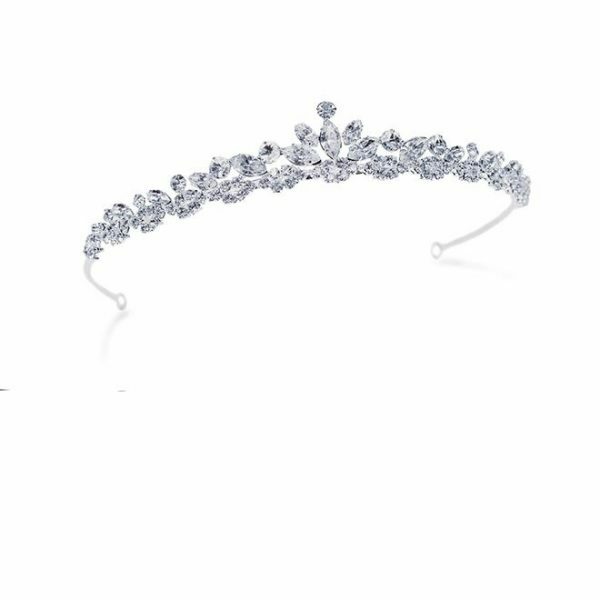 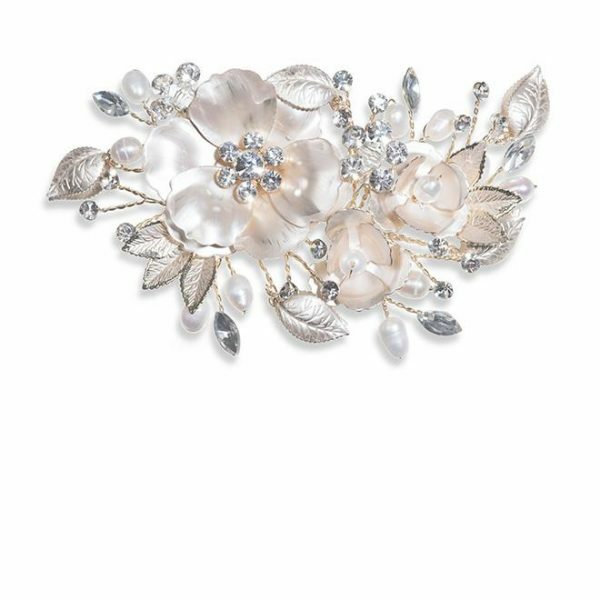 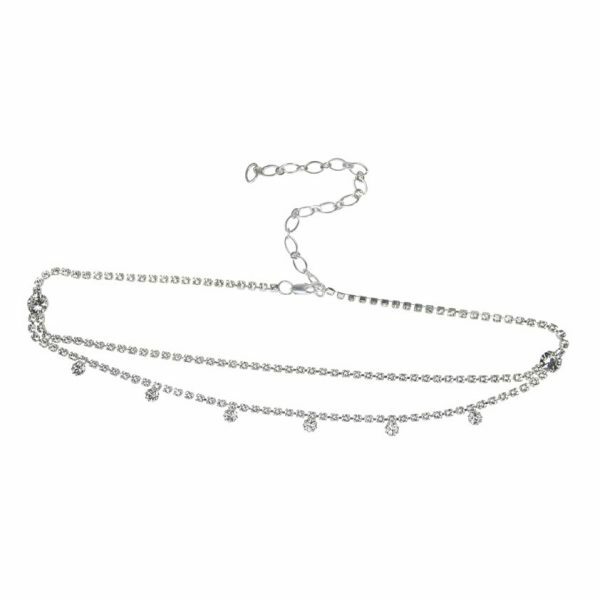 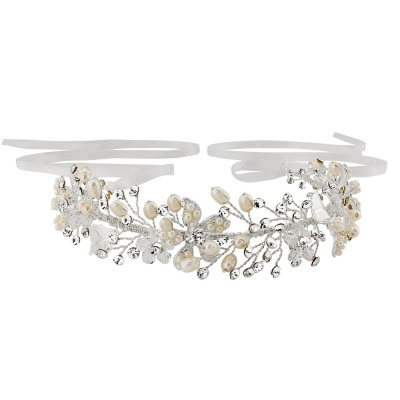 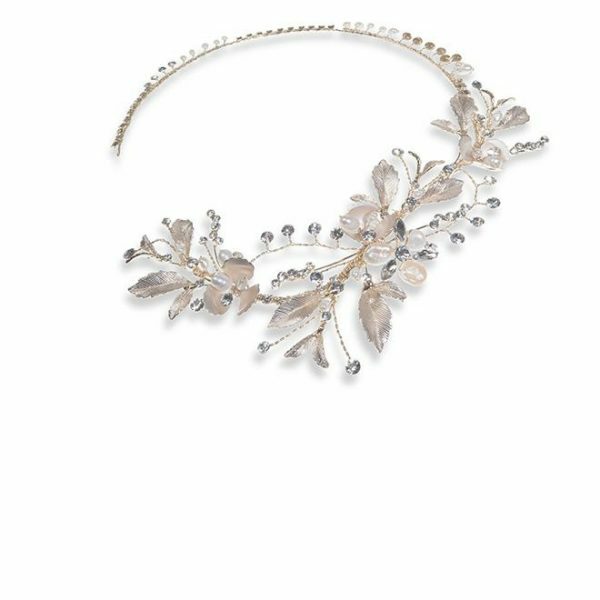 A stunning, very versatile vine headpiece which incorporates solitaire cut stones,real freshwater pearls with sparkling Swarovski crystals with a delicate hand enamelled and crystal encrusted leaf design! 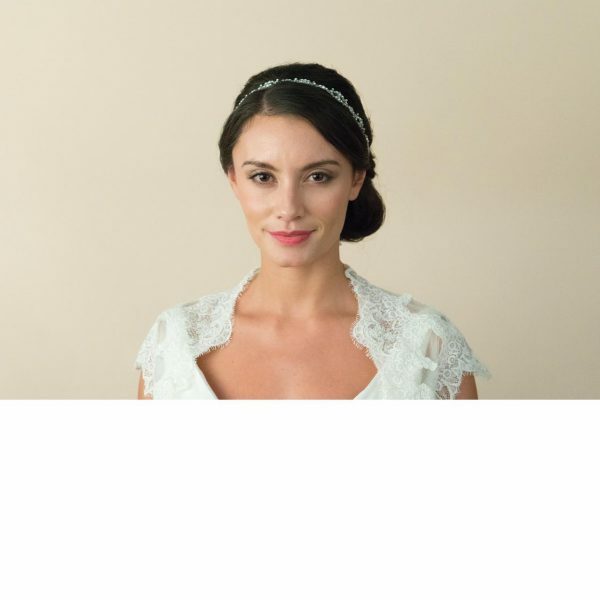 Anoushka is a feminine, fluid headpiece ideal to mould into almost any style of hair and perfect for a naturalistic look with a Bohemian or Destination wedding gown!